Seth is a graduate of Southern Methodist University (2002) and Tulane University School of Law (2006). After law school he joined the Colorado State Public Defenders Office, one of the preeminent indigent criminal defense organizations in the nation. In seven years at CSPD Seth advanced to the position of a felony supervising attorney and lead chair in homicide trials. Seth earned the responsibility for training other criminal defense attorneys on issues such as Jury Selection, Expert Witnesses, Mental Health Defenses, Medical Marijuana, 404(b) & Reverse 404(b), Felony Sentencing, Collateral Immigration Consequences, and Preliminary Hearings. In 2008, Seth was awarded the CSPD "Bootcamper of the Year" award for his trial advocacy skill and commitment to indigent defense. In 2013 Seth returned to his East Texas roots in Nacogdoches and formed the Johnson Law Office, PLLC. 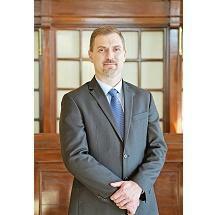 Seth is an active member of the Texas Criminal Defense Lawyer’s Association.